We actually stripped the wheels down our selves and considered spraying inners and polishing outers.but the lacquer had gone streaky (as can be seen in the first picture) and this was proving really hard to remove so thought it best to let the experts do it,so we took the outers to a local well known wheel re-furbisher in Wolverhampton and they charged around £50each outer rim(it was over a year ago so can't remember exact amounts). 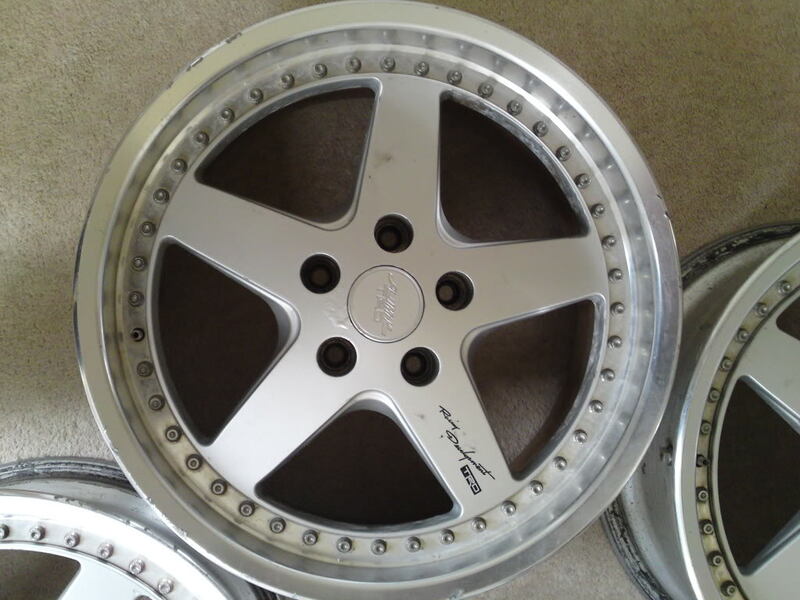 Always worth rembering if your buying a car with ropey split rim wheels (or buying some old split rim's) there not cheap to re furbish. 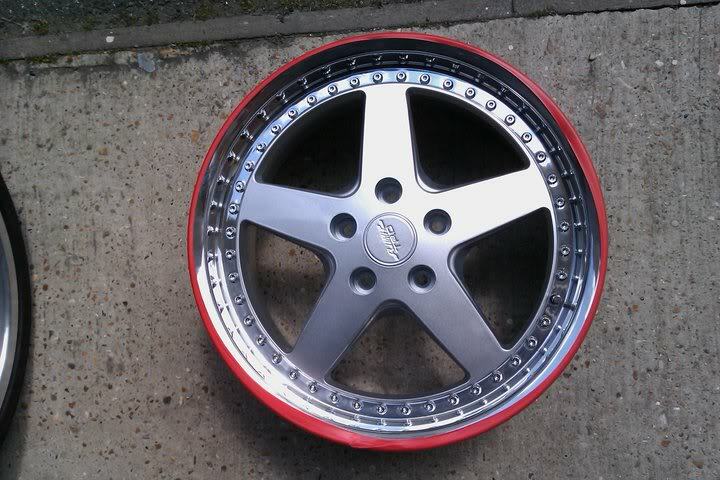 That said my daily driver has Ronel 2 piece rim's .When I 1st purchased them they where not in the best condition.I used satin black from a £4.99 rattle can (then found out they where quite expensive wheels ) they don't look bad at all and have been on the car for over 2 years,the outers are also painted black but this is great as they do not need polishing all the while,so i suppose wheels can be done cheep it depends on what finish you want. 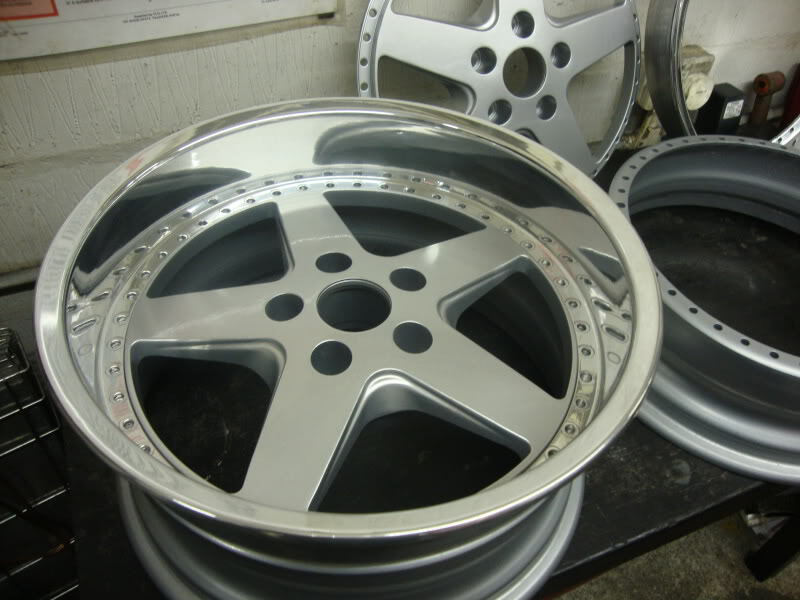 Sounds similar to waht I did with a set of work equips - stripped them down myself then had centres and rears repainted for £200. 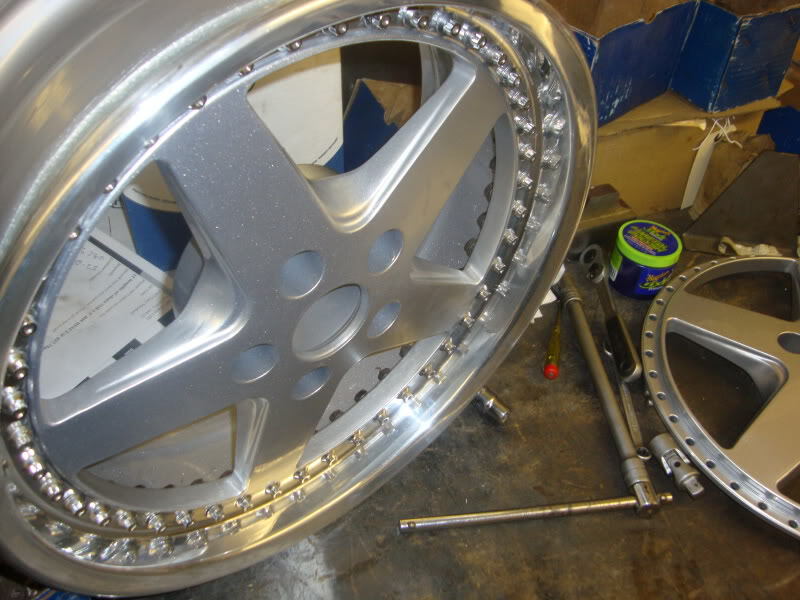 Studs were striped and rechromed for £40 then polished the outer rims myself and then reassembled. 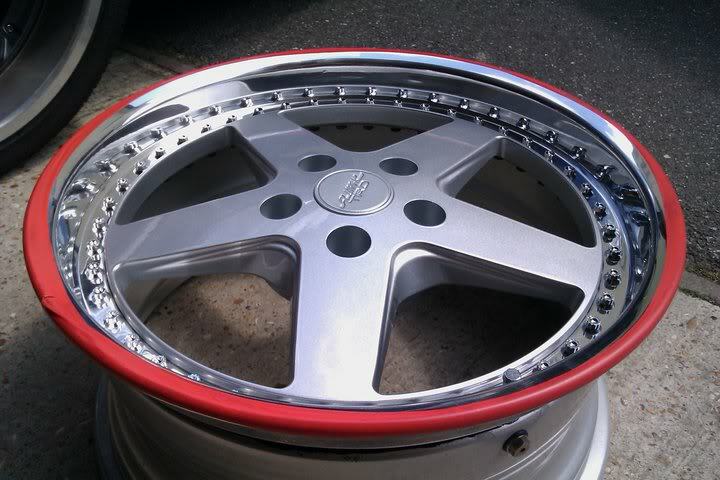 Did you get your outer rims re-lacquered or just left in natural state?